As Oprah’s Best Life week continues, she welcomed Dr. Oz, a.k.a. America’s doctor, to the show once again. In the second day of her campaign to get healthy alongside the rest of us, she asked Dr. Oz to share the most important things about our health that we need to be aware of and proactive in doing. He calls it the Ultimate Health Checklist, and says that as long as we’re able to keep to the list, which really isn’t that overwhelming, we can live long, happy lives. Here are the 10 things on Dr. Oz’s Ultimate Health Checklist that all men and women should make a point of following. 1. Schedule a Check-Up. 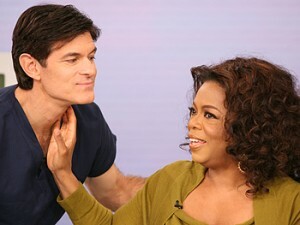 Dr. Oz told Oprah’s audience that people who have a family doctor are healthier, and pointed out that while many do not have health insurance, you can find free and government-funded access to quality health care providers. 2. Know the Five Ingredients to Avoid. Check food labels for this simple list of ingredients, and pass on foods that include them in the first five ingredients listed (meaning they are highest in concentration). 3. Add Healthy Foods to your Diet. Make an effort to meet these nutritional goals each day and week. 3 grams Omega-3 daily. Sources for this healthy fat are fish, soybeans, nuts, flaxseed and others. 5-7 servings of Antioxidants daily. Sources for this cancer-fighting agent are blueberries, red beans, pomegranates and pecans. 25 grams Fiber daily. You’ll want to chose whole-grain options, like brown rice and whole grain cereals and pastas. 1 Tbs. Olive Oil daily. Extra-virgin or regular olive oil both work. Dr. Oz suggests this is why the Mediterranean Diet is praised for working so well. 4. Take a Multi-Vitamin. This should be part of your daily routine. Here are Dr. Oz’s vitamin tips. 5. Know Your Numbers. At your check-up, learn these numbers, and make it a goal to optimize them. Waist size – measure at belly button, total inches should be less than half your height. Vitamin D – find out if you have a deficiency. Darker skinned people are more susceptible. 6. Find a Health Advocate. Always bring a relative or a friend with you to the doctor to better understand your treatment. 7. Get Organized with Your Health Information. Keep updated copies of insurance, medical records, allergies, etc. so that you can play a more active role in your care and treatment. Dr. Oz presents a mish-mash of ideas, some great, some questionable. Examples of questionable: 1) take a magnesium supplement, 2) take a multivitamin. There’s no science to back up either of these, for the general population. 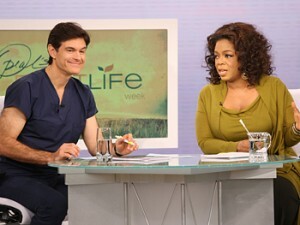 Does Oprah respect Dr. Oz enough to follow his “YOU – on a diet” weight-loss program? I’m glad I don’t go to Dr Steve Parker. Did he ever hear of the soil becoming depleted, which can prevent foods from having the enough vitamins and minerals on their own? And gee, duh that’s’s why people need a backup! What he said about Oprah’s weight was just rude. He must listen to talk radio on his way to work every day. If not, with all of his negativity he should think about employment at one of those useless stations. Oh, and Dr Oz, you rock! I guess Dr. Oz fogot to give his vitamin tips. keep up the good work.